There is a lot to learn when it comes to immersing yourself in eSports. There is more than simply discovering the most exciting games or who the top players are. There are a host of thrilling events held across the world where the best of the best do battle to both earn prize money and prove themselves on a global scale. Here at Master Mazuma, we are big fans of the brilliant DreamHack festival and the excitement it offers to players, visitors and those looking to have a bet on major competitions. This is our guide to the essential information you need to know about this fantastic series of events, as well as some thoughts on the key issues to consider when preparing your DreamHack betting strategy. For the uninitiated, DreamHack is a major digital festival series which started life in the early 90s as simply a gathering of likeminded people in a school basement in Sweden, before growing to become one of the biggest technological events held in the world. Since 2002, it has been held twice a year in Summer and Winter with those flagship events taking place in Jonkoping, Sweden. However, growing interest in recent years has led DreamHack to expand away from its usual home and hold additional events in other major cities across the world. The 2017 schedule takes in trips to Valencia, Atlanta, Montreal and Denver to name just a few. While the festival takes in gaming, digital arts, an expo and even live concerts, it has always had strong links to the competitive gaming world and even played host to the very first League of Legends World Championships back in 2011. While that tournament may have grown into its very own event, DreamHack continues to play host to a range of competitions which attract some of the world’s best players. It is also very diverse too, with the event priding itself on covering off all of the main eSports. As an example, DreamHack Summer 2017 is featuring competitions related to titles including Counter Strike: Global Offensive, Hearthstone, Super Smash Bros Melee, Starcraft II, Rocket League and Pokken. With many of the tournaments having an open format which begins in a bring-your-own-console area, all attendees have the chance to get involved and see if they have what it takes to progress to the latter stages. There really is something for everyone at Dreamhack, and this variety is exactly why DreamHack betting is a good option for those looking to get involved in eSports through gambling or even competing. As for prize money, this can vary depending on the games being played in a tournament. For example, at DreamHack Summer 2017 the top prize for the Super Smash Bros Melee tournament is $5,000, with the pool providing smaller prizes to the rest of the top eight depending on their final position. Alternatively, the Street Fighter V competition at the same event had a top prize of $7,000. With the range of games and competitions on offer, DreamHack offers many potential betting opportunities. However, the vast number of tournaments which are held means it is worth putting some thought into how you plan to proceed. For example, are there specific games which you already follow in eSports? If so, you may put yourself in a strong position by focusing on competitions related to titles you know very well. Knowing the game as a player certainly gives advantages, in the same way that being a tennis player helps people who bet on tennis tournaments identify who’s got true potential. Alternatively, you could keep an open mind by analysing the field in all of the tournaments, as this would ensure you would not miss a situation where particularly strong odds emerge. However you wish to proceed is of course up to you, but once you have made a decision it is time to get to know the top players and teams which are likely to go head to head in the competitions held at DreamHack. Obviously, the range of tournaments means it is difficult to go into specifics for all of them here, but in Super Smash Bros Melee you may want to look out for the likes of William “Leffen” Hjelte who won the Summer 2016 tournament. Elsewhere, Arman “Phenom” Hanjani won the 2016 Street Fighter V competition and also finished second in the E-League Street Fighter V Invitational in 2017, so is surely one to watch. Of course, an ideal way to get to grips with the top players in any given discipline is to watch competitions whenever you can, either in person or via streaming. 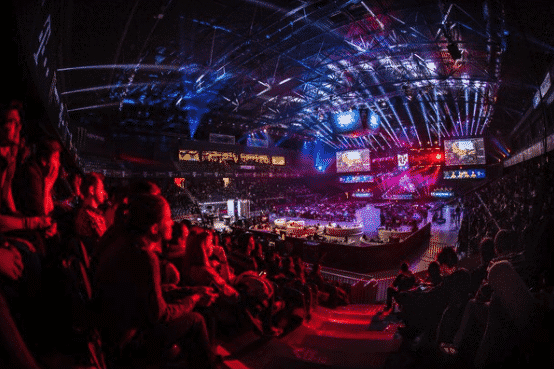 It can be particularly useful to monitor events leading up to a major competition such as DreamHack, as it will ensure you are up to speed on who is heading into the tournament bang on form. Another useful way to build a DreamHack betting strategy is also to follow the latest news related to the eSports you are planning to bet on. Has a personal matter away from competitions been impacting on a usually reliable performer? Or is a big team struggling with form due to a relationship breakdown between players. It might sound bizarre, but these issues can arise in any sport and ultimately impact on performance. Finally, doing all of this should also ensure you are in a prime position to spot new and emerging talent which looks set to take an upcoming competition by storm. While the big names may have a strong history of coming up with the goods in a major final, we all love an underdog story too. Are there any dark horses emerging who could cause an upset or two on their way to tournament glory? Spotting a newcomer with major potential may provide you with long odds and a chance to win big. One of the sheer thrills of gambling on sport is simply that anything can happen. While eSports can throw up many shocks and surprises, a little bit of research will at least give you a chance to make an informed decision about where to put your money when betting on an upcoming event. DreamHack is a key date in the eSports diary, so learn more about the all-important odds for competitions taking place at the next event at our specialist pages. If you haven’t yet, make sure you join Master Mazuma today, to get a bet 5 get 10 offer.